On June 14, the Board of Trustees approved a restructuring of the provost’s position and two new appointments recommended by President Joel Seligman following Provost Ralph Kuncl’s appointment as president of the University of Redlands (see page 9). 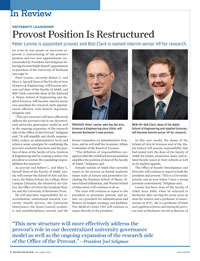 Peter Lennie, currently Robert L. and Mary L. Sproull Dean of the Faculty of Arts, Sciences & Engineering, will become provost and dean of the faculty of AS&E, and Rob Clark, currently dean of the Edmund A. Hajim School of Engineering and Applied Sciences, will become interim senior vice president for research, both appointments effective with Kuncl’s departure, Seligman said. As provost and Robert L. and Mary L. Sproull Dean of the Faculty of AS&E, Lennie will oversee the School of Arts and Sciences, the Hajim School, the College, River Campus Libraries, the Memorial Art Gallery, the Office of University Graduate Studies, and the University of Rochester Press. He will also have responsibility for reaccreditation, institutional research, University Health Service, the University Intercessors, the Deans Council, academic and multidisciplinary awards, and the Deans Committee on Administrative Practices, and he will staff the Academic Affairs Committee of the Board of Trustees. “The definition of responsibilities recognizes that the redefined provost position amplifies the position of dean of the faculty of AS&E,” Seligman said. Schools outside of AS&E that currently report to the provost on formal academic issues such as tenure and promotion (including the Eastman School of Music, Simon School of Business, and Warner School of Education) will continue to do so. The units will continue to report to the president or president, provost, and senior vice president for administration and finance on budget, strategy, and facilities. The Medical Center CEO will continue to report directly to the president. In this new model, the deans of the School of Arts & Sciences and of the Hajim School will assume responsibility that had rested with the dean of the faculty of AS&E for tenure, promotion, leave, and related faculty issues in their schools as well as for student appeals. The Office of Faculty Development and Diversity will continue to report to both the president and provost. “This is a University priority and an area where I have a strong personal commitment,” Seligman said. Lennie has been dean of the faculty of AS&E since 2006, when he returned to Rochester after serving for seven years as dean for science and a professor of neuroscience at NYU. 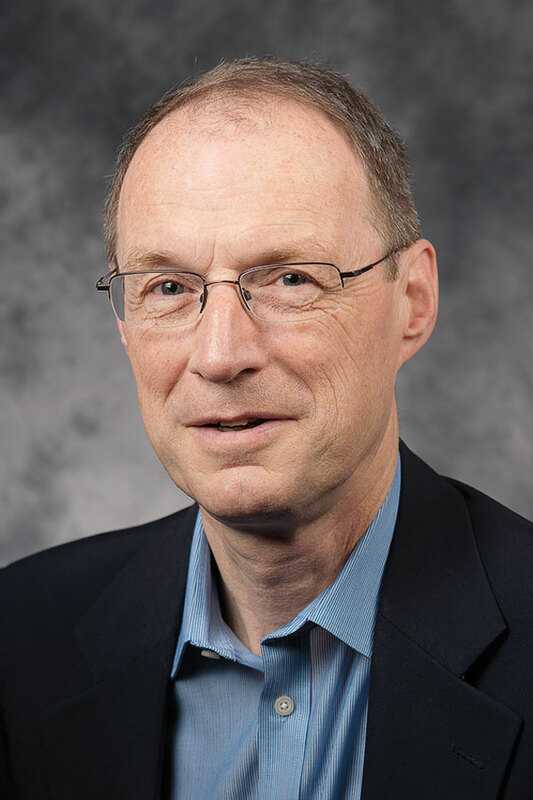 He is a professor of brain and cognitive sciences and during his previous time at Rochester served as director of the Center for Visual Science, dean of academic resources and planning, and chair of the Department of Brain and Cognitive Sciences. He received a PhD from the University of Cambridge. 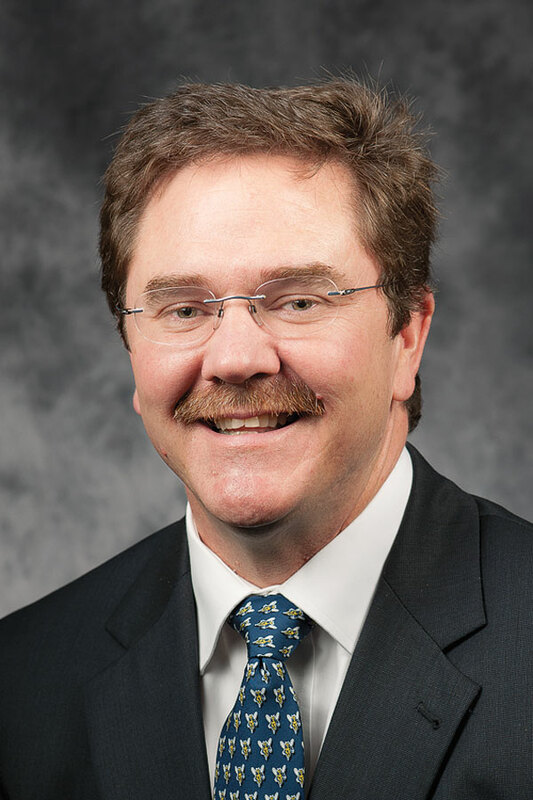 As interim senior vice president for research, Clark will be responsible for the fastest growing segments of the current provost’s position, Seligman said. Those responsibilities include the Laboratory for Laser Energetics, sponsored research, including the Sponsored University Research Group, Office of Research Projects Administration, University Information Technology, Health Science Center for Computational Innovation (HSCCI), Center for Entrepreneurship, Office of Research Alliances, Office of Human Subjects Protection/Research Subjects Review Board, Office of Technology Transfer, online initiatives, and staffing the Research and Innovation Committee of the Board of Trustees. “Rob Clark’s efforts to bridge between University research and the corporate world through cross-school initiatives such as the TEAM program with Simon and the Center for Medical Technology Innovation with the School of Medicine and Dentistry made him a logical choice for the interim senior vice president’s role,” Seligman said. Clark will continue as dean of the Hajim School while serving as interim senior vice president for research. He has been dean since 2008, when he arrived from Duke University, where he had served as senior associate dean and dean of the Pratt School of Engineering. An expert in the science of acoustics and in bionanomanufacturing, he holds bachelor’s, master’s, and doctoral degrees from Virginia Polytechnic Institute. Lennie’s term will run through June 30, 2016. There will be a national search for the senior vice president for research when the academic year begins, Seligman said.